GPS Audio Guide Free: Forbidden City Install App or bookmark our website on your phone browser to enjoy. 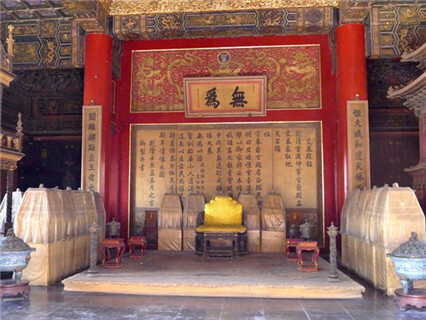 This tour is designed for tourists who are interested in the Forbidden City and would like to visit more palaces in it. 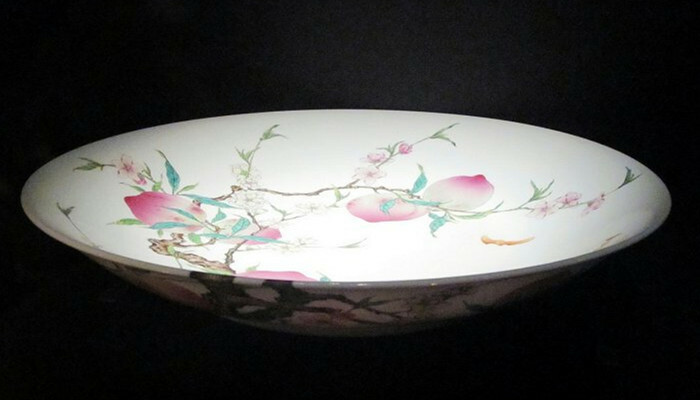 Unlike regular tours which only go through the central axis, this tour may give you an in-depth understanding of the imperial palace and discover the hidden history of Chinese imperial life. 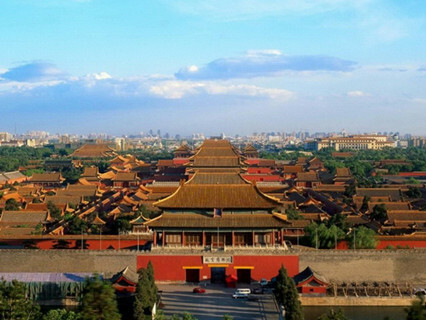 Also, you will have a bird's eye view of the whole Forbidden City at Jingshan Park. This is a no shopping tour. You don't have to waste your time in the shopping stops. No hidden charges. Private tour with flexible schedule. You don't have to waiting for others during pick-up&drop-off time or during the tour. Enter the Forbidden City directly instead of waiting in line. We will pick you up at your hotel lobby at about 8:00 am in the morning and head for the Forbidden City, which is the largest imperial palace in the world, home to 24 emperors in the Ming (1368–1644) and Qing (1644–1911) Dynasties. We will need your passport number to book the ticket in advance, so that we can enter the Forbidden City directly with no need for waiting on line or buying the ticket on the spot. Be sure to bring your passport with you. 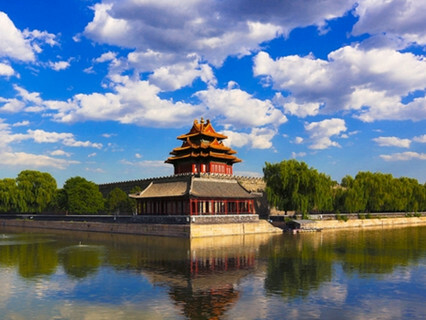 Unlike ordinary tours which only stroll along the central axis, we will show you some interesting palaces in the Forbidden City during this tour. Before entering the Forbidden City, our guide will show you the turret of the Forbidden City first. Then get into the Forbidden City through the Meridian Gate, which is famous as a place to penalize offending officials in the Qing Dynasty. Then walk to the Hall of Literary Glory, which is used for porcelain exhibition at present. Walk to the Hall of Literary Profundity, and view the royal library, built for the emperor 300 years ago. Since yellow is the symbol of the royal family, it is the dominant color in the Forbidden City. However, the roof of the Royal Library is black. The reason is that it was believed black represented water then and could extinguish fire. Back to the Central Axis Way, you will see a grand square in front of the Hall of Supreme Harmony, which is one of the three main halls of the Forbidden City. It was formerly used on such occasions as a new emperor's accession, the emperor's birthday and the announcement of important edicts. Our tour guide is ready to answer all your questions to satisfy your curiosity. 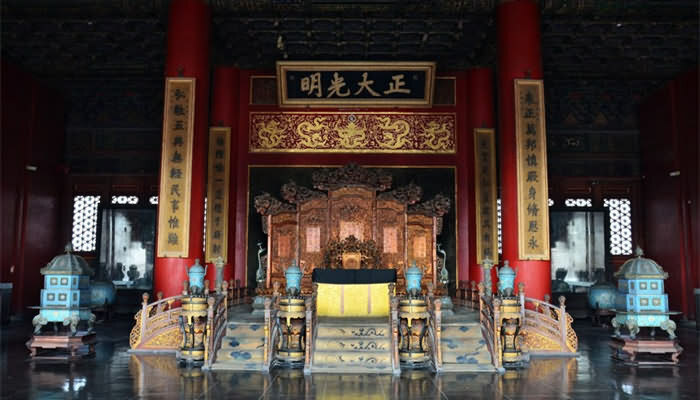 Then visit the Hall of Complete Harmony and Hall of Preserving Harmony, which respectively functioned as the place for the emperor to change his costume before grand ceremonies and the venue for the annual imperial exams. Walk along the white marble balustrade and descend from the main palaces. On the way you will see a high stone slab with a dragon and cloud design. It weighs about 200 tons. It was transferred from Fangshan, located at the southwest of Beijing. 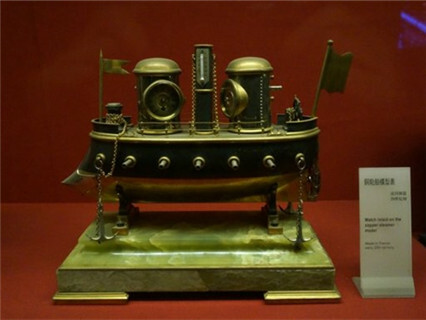 Then visit the Clock and Treasure Exhibition Hall, which shows a collection of exquisite clocks made years ago. Then visit the Nine Dragon Screen. Walk to the Studio of Unimpeded Sound, it was used as a theater to watch Peking Opera. Then visit Crystal Palace, which is a western style architecture. It is left unfinished and remains a mystery. The Hall of Heavenly Purity was the palace where the emperors used to live and handle daily affairs in the Ming and early Qing Dynasties. 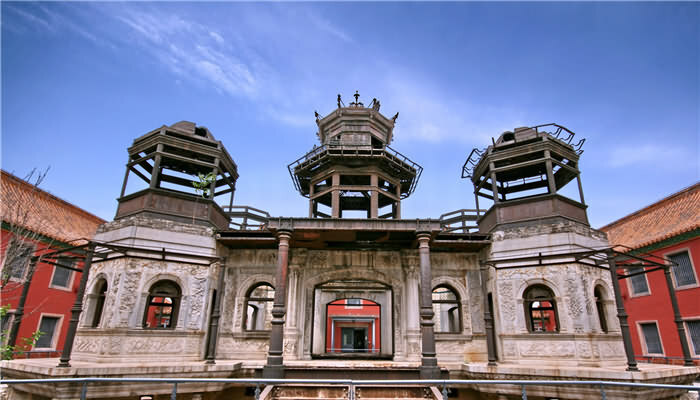 The Palace of Earthly Tranquility was where the empress lived in the Ming Dynasty (1368-1644). 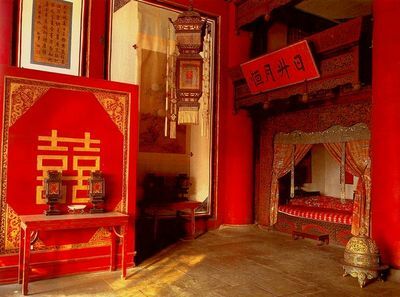 However, after reconstruction in the Qing Dynasty (1644-1911), it served as the nuptial chamber of the emperor and empress and the altar for worshiping the deities of Shamanism. Leaving the Inner Palace Courtyard, stroll along the side of the Western Chamber. Your next stop is the Hall of Mental Cultivation, where you can see the screen that was between the throne of "the Little Emperor" and his mother "the Dragon Lady". It is where the renowned historical events known as "Power Behind the Screen" took place. Visit the Palace of Eternal Spring, once the residence of the most influential political figure in late Qing Dynasty — the Dragon Lady, Empress Dowager Cixi. Though many experts criticized her about utilizing Chinese navy funding for building her own garden, which caused defeat in the war with Japan in 1898, she is also credited in the history of China as the benefactor of the first railway, first telegraph, first coalmine, and even first stock share. Lastly you will be shown to the imperial garden and view the artificial rockery, surrounded by peonies and trees in beautiful shapes. Some of them looks like animals of the Chinese zodiac. The last palace you will see is called 'Feast Pavilion'. In the Qing Dynasty the annual selection of the emperor's concubines happened there, and their story and that of the eunuchs will be presented. When exiting by the North Gate, you will cross the moat around the Forbidden City. The moat is 52 meters wide, and when its water frozen, people kept the ice in underground storehouses. When summer came, the ice was taken to the imperial palace to keep food and fruits fresh, and cool the air for the emperor and empress. Choice A: Roast Chicken: one chicken Leg, French fires, Fresh vegetable salad. Beverage: Choose one in the drinks menu. Choice B: Beef Hamburger,French fires. Beverage: Choose a glass of Coke/Sprite, Orange/Apple Juice. Choice C: Spaghetti: Pork sauce Italy noodle and Toast. Beverage: Choose a glass of Coke/Sprite, Orange/Apple Juice, hot/ice coffee, Tea. Choice D: Dumplings: 16 Boiled dumplings, Cucumber, Soy sauce and Vinegar. Beverage: Chinese Tea free refill or Choose a glass of Coke/Sprite, Orange/Apple Juice, hot/ice coffee. Choice E: Mixed Vegetable Rice: Fresh carrot, onion, tomato, pepper, cucumber, lettuce fried together, Rice and Chinese Soup. Beverage: Chinese Tea free refill or Choose a glass of Coke/Sprite,Orange/Apple Juice, hot/ice coffee. 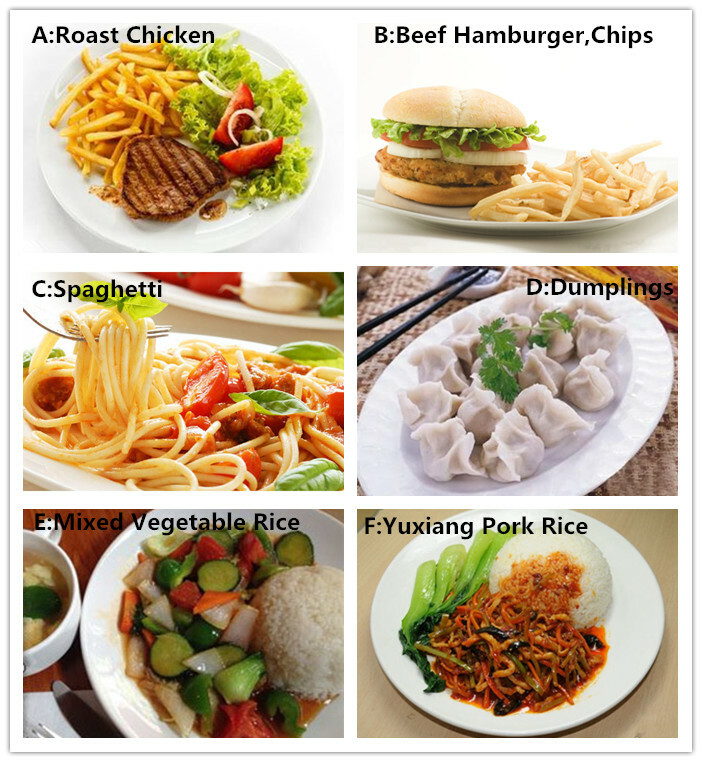 Choice F: Yuxiang Pork Rice: Yuxiang Pork, Rice, Chinese Soup and Vegetable. Beverage: Chinese Tea free refill or Choose a glass of Coke/Sprite,Orange/Apple Juice, hot/ice coffee. 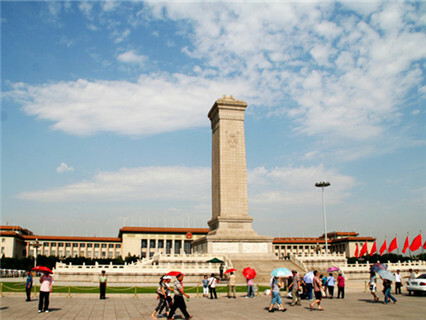 Then visit the Tian'anmen Square, which is located at the south of Forbidden City. Walk around and listen to the tour guide telling stories about it. Then visit Jingshan Park, where you can have a bird's eye view of the Forbidden City as well as many other famous buildings in Beijing. After the tour, we will transfer you back to your hotel. Pick-up and drop-off from your downtown hotel. English-speaking tour guide(Other languages available at extra cost for private tour). Lunch. Tips for the tour guide and driver. 1. You can book online or by email, tell us your arrival and departure flight number, and then receive our confirmation email. 2. When you arrive in Beijing, our tour guide will call you the night before the tour to inform pick-up time on the next morning. Reply : Thank you for sending email to Chinatour.Net We can book 1 Day In-depth Beijing Forbidden City Discovery Tour on Oct 28th for you, the price of the tour is Private Tour (you are 2 persons), : $106 (680CNY) per person, would you like to book it? Can you send us your hotel name, address and phone number?